April is upon us, and this means Easter is right around the corner. 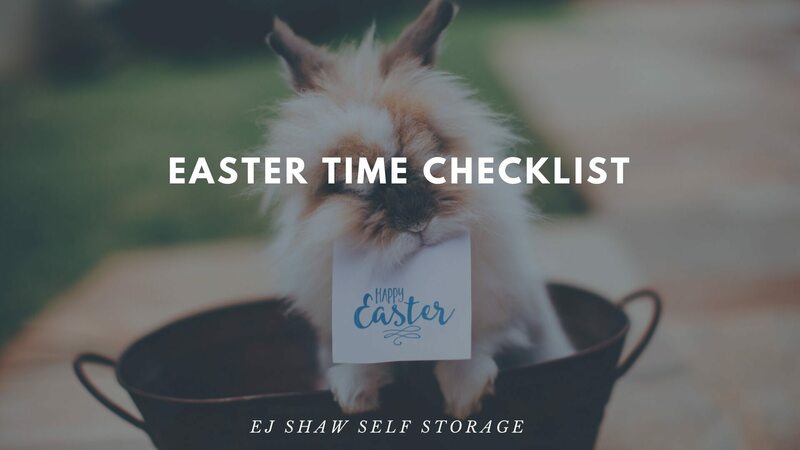 The team at EJ Shaw Self Storage in Dee Why are already looking forward to the time they’ll spend with family, and sinking their teeth into the traditional Sunday roast. Easter is the perfect holiday for family and friends enjoying large Sunday lunches; but this time of year can be very stressful for those hosting large Easter celebrations. And surprisingly, Self Storage comes in very handy when you need to clean up your home for all the arriving guests. If you are having Easter at your home, you will need to consider a few things before you take any steps toward the actual decision making process. Determine whether you want a relaxed atmosphere or a more formal feel to your Easter experience. Also, if it is an all family affair, you will need to plan for the entertainment of the young ones. Planning the menu plays a vital role in whether your big meal will be a success, or failure. Don’t hesitate to get other family members involved, subcontract the salads and snacks, and get people to bring along spare cutlery and plates. Decide if you are going to go traditional, or do something different… A roast can be replaced with a barbecue or even a cold lunch, but always keep an eye on the weather if you’re planning to prepare or serve food outdoors. Before you host your celebration, you need to figure out who you want to invite. Decide if you want to only include family members, friends or a healthy mix of both parties. Get your guest list fixed, as this will help you budget and plan better, as preparing a meal for 50 people is a lot trickier than cooking for 12. Invite individuals who will have a good time with the rest of the guests. If you decide to have a pot-luck style, you will be able to invite a higher number of guests than if you were catering the event yourself. You don’t need to send out formal invitations to your family & friends, but ensuring everyone knows about the party ahead of time is critical. Send out emails or texts, or create a Facebook event making sure everyone knows the date and time of your Easter celebration. An Easter table is an ideal and festive way to get everyone in the mood for this special holiday. Create your own centrepiece with flowers, fruit and art. Since it is a special time for families to get together, why not place photos out as part of the decorations? Also, place decorative items all over your home to bring a little holiday cheer to your home. 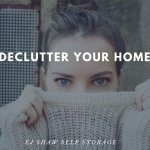 If you need to use a larger table, make room by storing your belongings in a clean and dust free Dee Why EJ Shaw Self Storage unit. 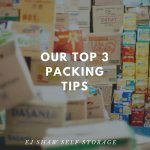 EJ Shaw Self Storage near Dee Why offers a number of affordable storage units, big or small. Be sure to check out our facility before your Easter feast.